Every garden is different, and depending on the position it is in relation to the sun, it will have a range of plants that will thrive in situ, and others that won’t. Many gardens have shaded areas, either due to buildings or trees blocking sunlight, however some gardens get no direct sun at all, and are wrongly considered no good for plants. This perennial is an attractive and hardy plant. It commonly has large heart shaped leaves, but they can vary and be more round in shape. They can also vary in colour, achieving shades of sage and yellow, and even blue. 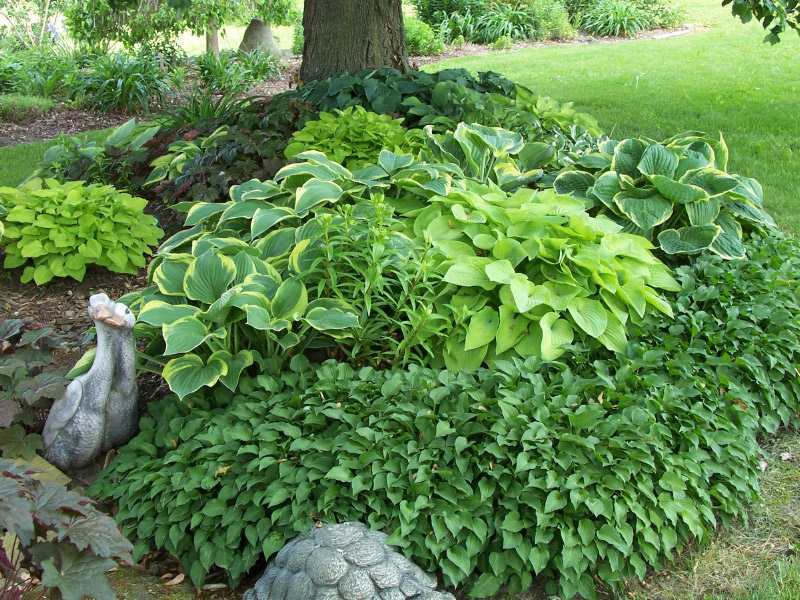 The Hosta will grow well in shade, and can grow up to 2 feet tall. It has white flowers in late summer. The rhododendron is a plant that will thrive in a lightly shaded area of the garden, although it should be sheltered from winds. It can achieve sizes ranging for 30cm, right up to several metres tall, and it has beautiful colourful flowers which bloom anywhere from January to August. Hydrangeas are a wonderful colourful addition to the garden, with large flowers when it blooms, flourishing in stunning blue, pink or white. The floral colour is actually dependant on the PH of the soil. 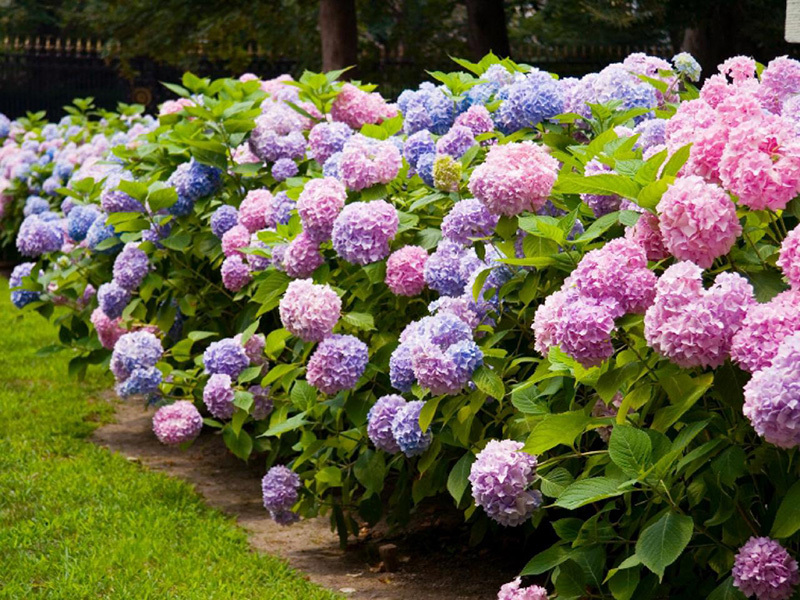 Hydrangeas are hardy evergreens, and tolerant of part and light shade, making a wonderful all year round plant. 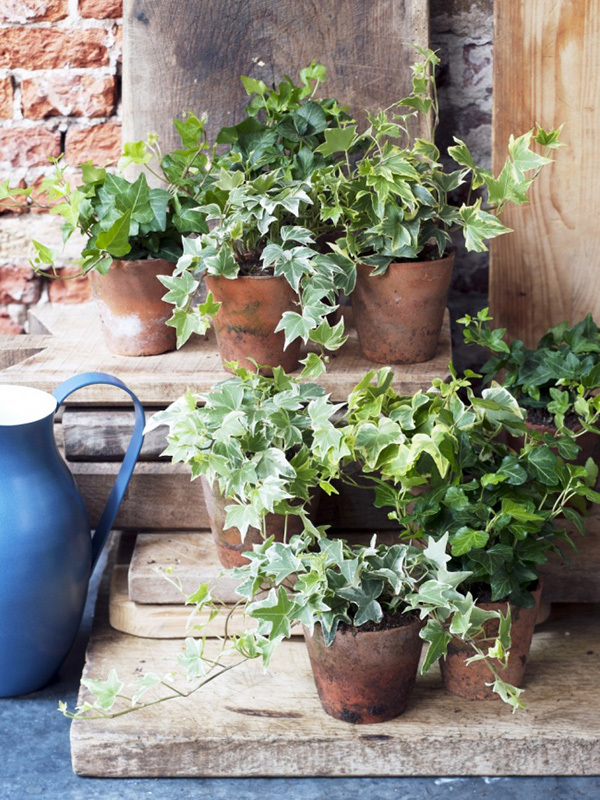 Ivy is a great plant for growing in shady parts of the garden as it provides attractive greenery that will cover walls, fences, and such. This dense climbing plant is one that will spread and grow, as well as provide shelter from small wildlife such as nesting birds. It is a popular choice for covering unsightly surfaces such as the side buildings. Ferns are one of the most popular plant choices for putting in shaded garden areas. 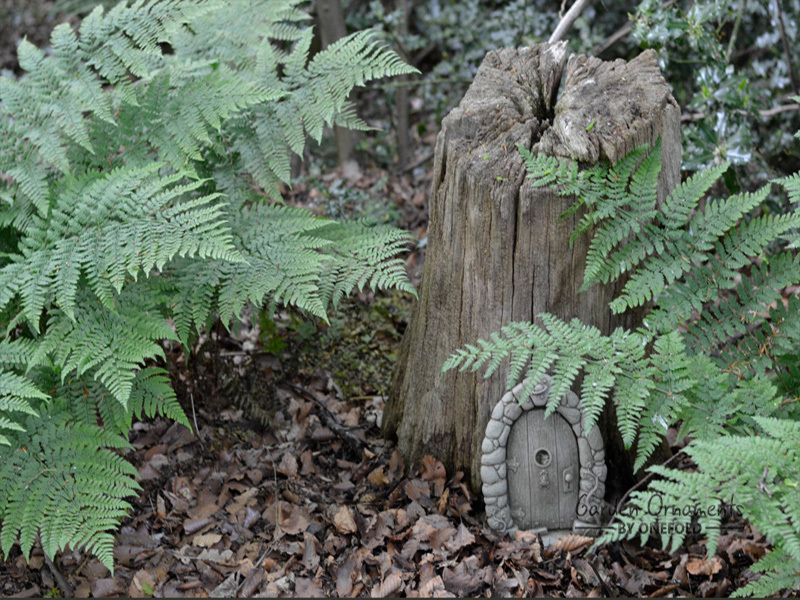 They provide a wonderful array of green, instantly providing a natural woodland type look. Ferns are a great plant for filling blank spots in the garden, and padding out gaps in planting. 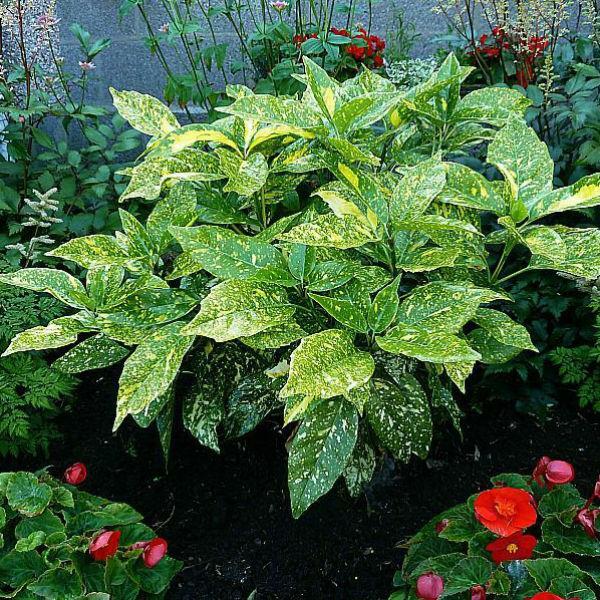 They are an easy plant to grow and are a great choice for shady spots. There are many Japanese plants which can thrive in a shady garden, including the Japanese laurel. This is an evergreen shrub that produces red berries around the Autumn. The Japanese laurel makes extremely attractive hedging, grows in most soils, and has wonderful green glossy leaves. There is actually a large selection of plants that are suited to shaded areas of the garden, and we have only mentioned a handful. 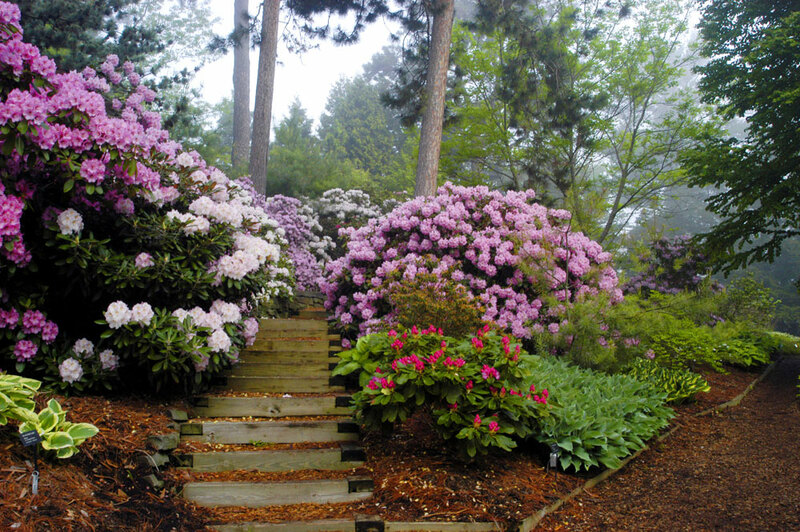 Fern, Ivy, Rhododendrons, Hydrangeas and Hostas are common and most people can recognise them. They are easy to find in local garden centres, where you will also find other plants suitable for shade.